We cover it all, from New York's freshwater trout rivers to New England's offshore canyons. We'll cast to Boston Harbor stripers and drop bait to Nantucket Shoals Fluke, a sight-cast for bluefish on the flats of Long Island and troll for salmon on Lake Ontario. If you fish in the Northeast, On The Water's Angling Adventures is your show. Bring home the excitement with our Season 13 DVD of On The Water TV's Angling Adventures. 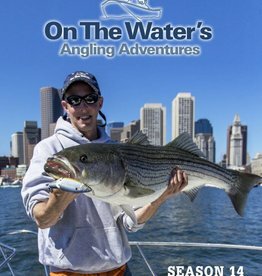 This three disc set features 10 episodes of intense fresh and saltwater fishing action from all over the Northeast. 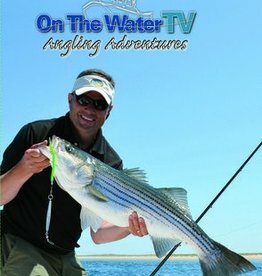 From fly fishing for trout and salmon up in Pittsburgh New Hampshire to striper and blue fishing off Fishers Island - if it swims in the Northeast, On The Water TV covers it. 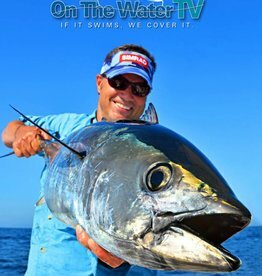 Bring home the excitement with our Season 12 DVD of On The Water TV's Angling Adventures. 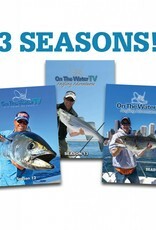 This three disc set features 11 episodes of intense fresh and saltwater fishing action from all over the Northeast. From hooking into giant bluefin tuna on spinning gear to traveling by float plane into the wilderness of Maine - if it swims in the Northeast, On The Water TV covers it.